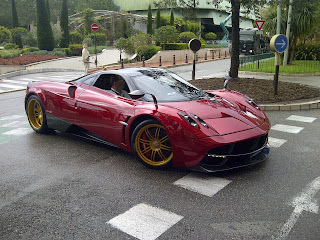 Prototype 0: First UK Huayra delivered in London! First UK Huayra delivered in London! Eventually after has been shown at the Geneva Motor Show and Top Marques Monaco 2013, this brand new and amazing Huayra has been delivered to his lucky owner in London who already owns a beautiful Zonda F. The car has been spotted with chassi N°007 (which go against the previous car spotted with the same VIN) at H.R. Owen who is now the official service centre for Pagani in the UK. 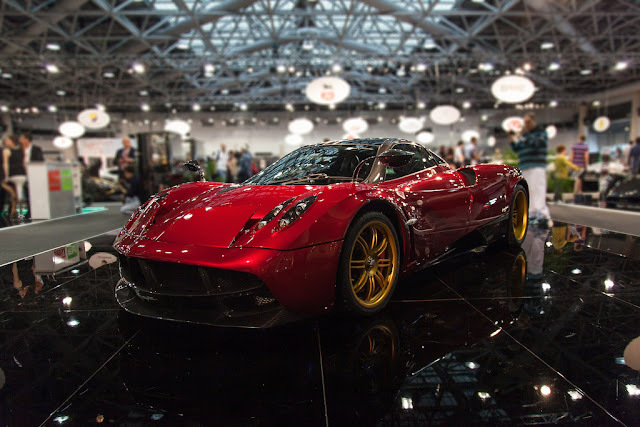 Configured in the classic two tone combination metallic red with carbon fiber roof and side skirts, the right hand drive Huayra is strictly similar to his previous sister Zonda. The cockpit is in black leather with red seams and some carbon fiber finishes. Wheels are matte gold with red brake calipers. 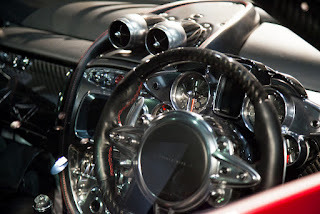 Pictures by: Tony_Halo, Shmee150 and Pistonheads.